I had to make an extra luxurious and special treat to celebrate this wonderful day! 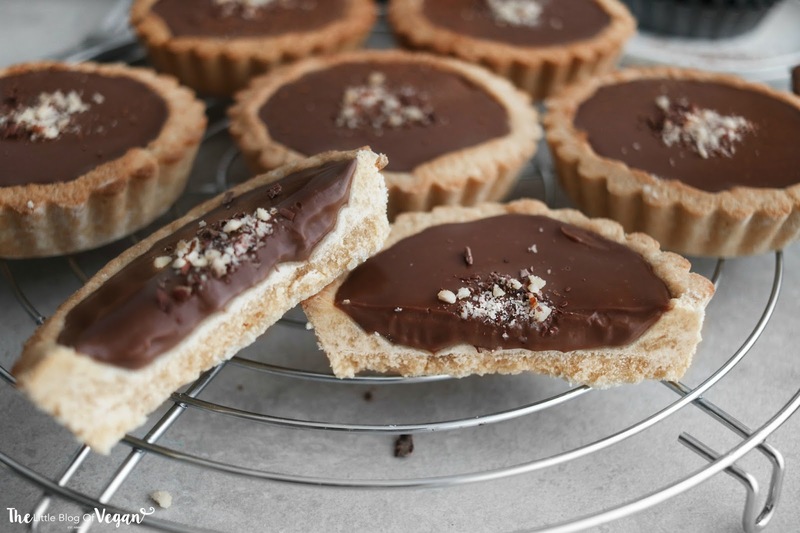 I've created these little tartlets which are absolutely divine!!! They're crumbly, rich, creamy, moorish and best of all....quick & easy to make! The crust is made with only 4 ingredients and includes natural sugars. Plus, they only need baking for around 9 minutes until golden then that's it! Delicious golden tartlet crusts ready to be filled with the silky smooth chocolate filling. 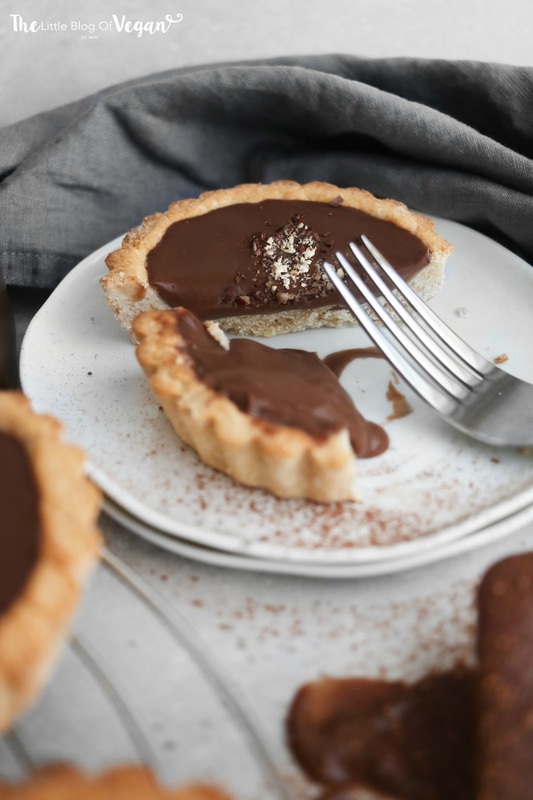 The crust is light and crumbly and the filling is ultra rich, creamy and packed full of vegan 'Nutella'. SO GOOD!!! Step 1- Pre-heat your oven to 180 degrees c and line 6 tartlet tins with greaseproof paper or grease with vegan butter. Step 2- In a mixing bowl, combine the plain flour, coconut flour, coconut oil and maple syrup. Mix and bring together with your hands until a dough forms. Step 3- Press the dough into the lined tins and pop into the oven to bake for 9-10 minutes, until golden in colour. Allow to cool fully before filling. 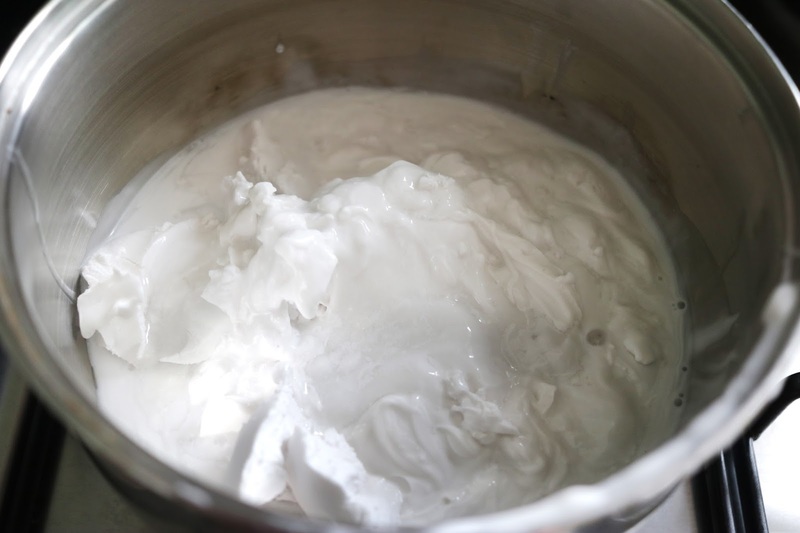 Step 1- Scoop out the solid cream from the cans of coconut milk and place into a saucepan. Step 2- While the coconut cream is hot, stir in the vegan 'Nutella', chocolate and maple syrup until smooth and creamy. The 'Nutella' will melt into the hot coconut cream. Step 3- Place the filling aside to cool for 30 minutes. 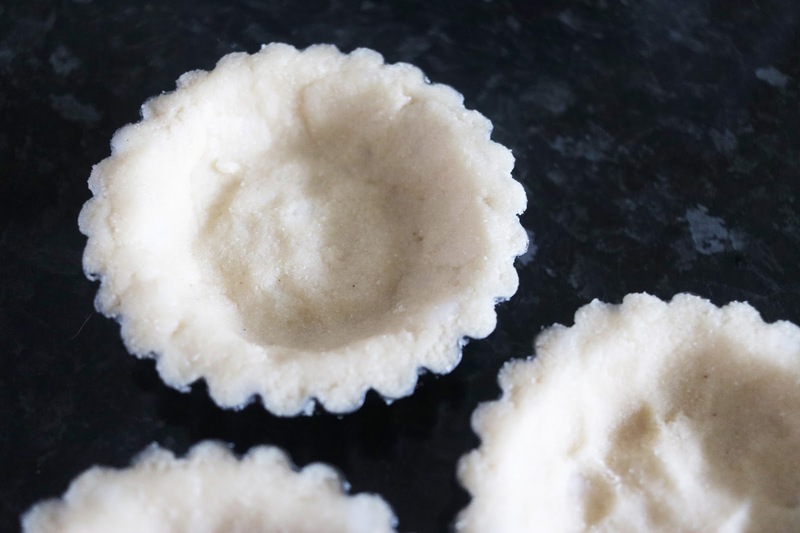 Step 4- Once cool, pour into the tartlet crusts, pop into the fridge and allow to set. This will take around 1-2 hours. 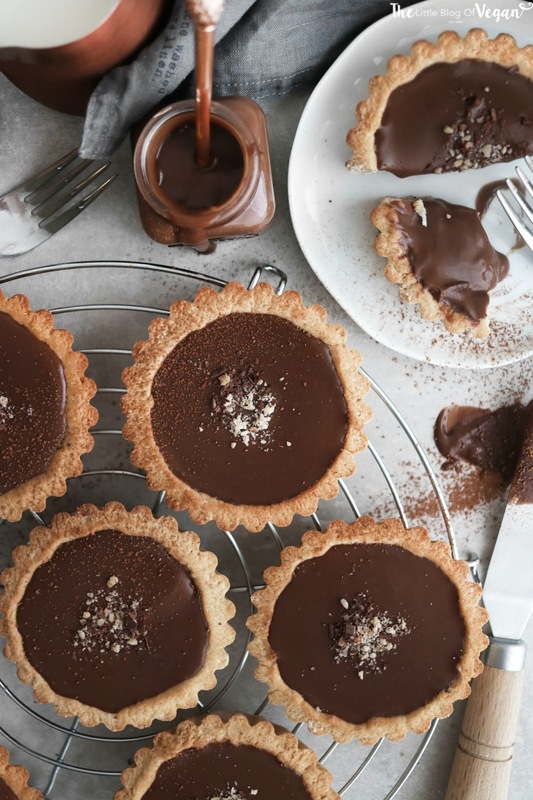 I served my tartlets with a sprinkle of grated dark chocolate and chopped hazelnuts....YUM! Store in a sealed container in the fridge, best eaten within a few days. 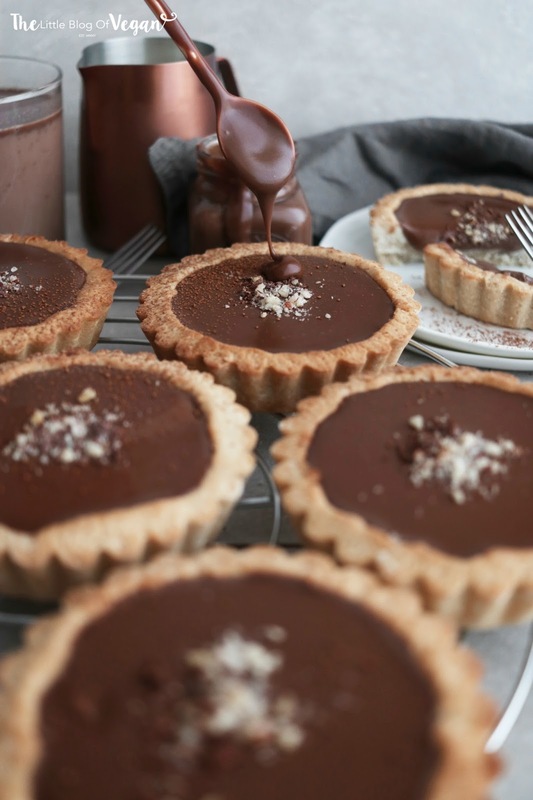 Have you ever made this as one big tart? Does it work well? Hi, is it the original coconut flour or shreded coconut flour? Btw, I like the uncomplicated way you write the recipies. Hello, Its just original coconut flour!